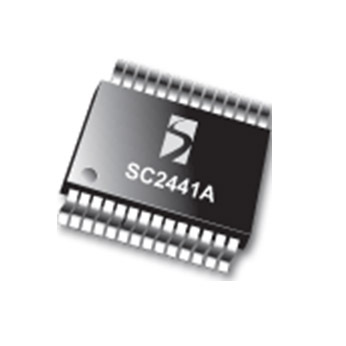 The SC2441A is a programmable frequency dual independent or dual/multiple phase single output peak current-mode step-down switching regulator controller. It is capable of operating from 1.8V to 20V input. A 0.6A step-up converter in the SC2441A generates an auxiliary gate drive supply when VIN is below 4.5V.